It’s summer, which means we can finally bust loose from the confines of our warm homes and into the warm, wonderful summertime air. Kids are up and out the door to play almost the minute they wake up—but with all their activity, they need a nourishing breakfast. And so do the grownups keeping up with them! We’ve got two great breakfast ideas that will set everyone out on the right foot, be it for swimming, baseball, hiking or biking. Filled with protein as well as packed with flavor, they’re sure to please. First up: the Ham & Swiss Breakfast Sandwich. 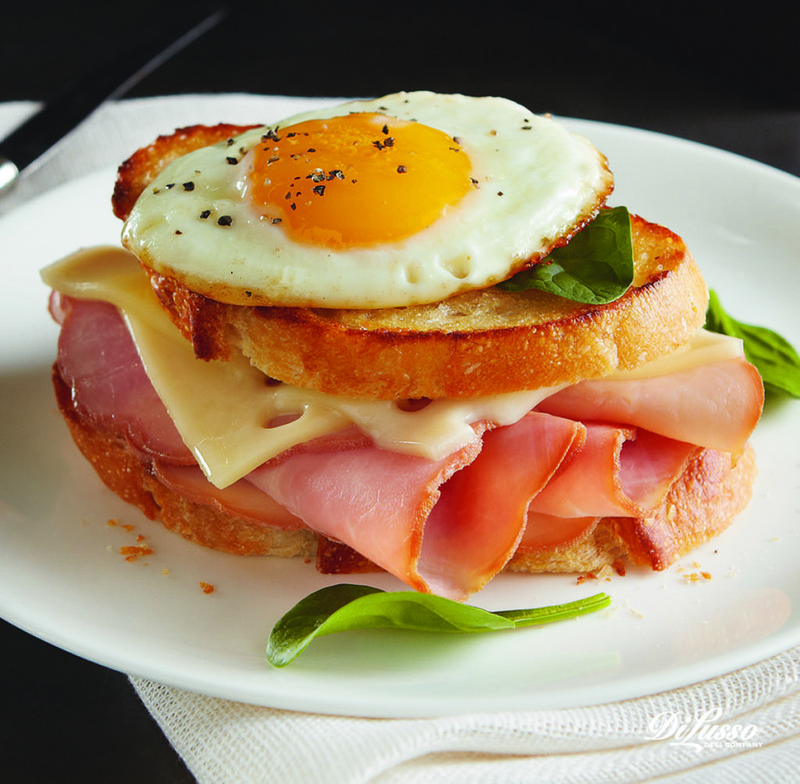 DI LUSSO® Brown Sugar ham and Baby Swiss are always great together; on top of crunchy buttered baguettes and crowned with a fried egg—outstanding. Serve with some fresh summer fruit and you’re set. Here’s another one that kids really love: Savory Breakfast Cups, because let’s face it, food is always tastier when it’s fun to eat! 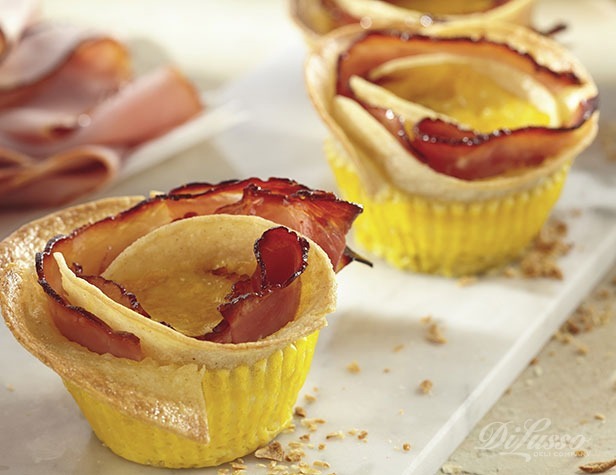 Tortilla “cups” are filled with egg and DI LUSSO® Black Forest Ham and Smoked Gouda—so flavorful! And these little bundles of yumminess are easy to take on the go—so nobody’s late for swimming lessons or baseball practice.